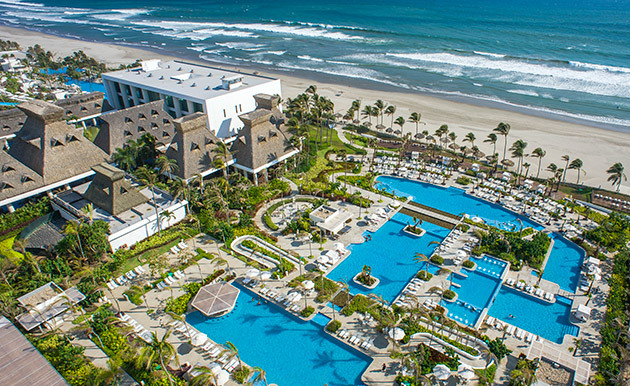 The exclusive Acapulco Diamante Zone is home to the Mayan Palace. This amazing resort features beautiful gardens, lakes, and the majestic 'Mayan Temple.' Swim in the largest pool in the world, play tennis, or play a round of golf at the 18 hole par 72 golf course. Join us and enjoy everything you need for your best vacation ever.